Last weekend I made the mistake of not reserving my movie tickets for Wonder Woman ahead of time and ended up having to decide whether I wanted to see a later showing or go home. I opted for an extra hour’s wait — and it was worth it. Director Patty Jenkins can make a strong case that she had one of the most pressure-packed Hollywood tasks in recent memory — making Wonder Woman a blockbuster for Warner Bros. She needed to please fans of a character with over 70 years of history while overcoming doubts about the direction of the DC Extended Universe and Gal Gadot’s acting. Wonder Woman, much like Joe Johnston’s Captain America: The First Avenger in 2011, was the kind of job where studio executives pull one off to the side and say, “Good luck, but don’t you dare screw this up.” Ms. Jenkins, like her creative peer, responded by churning out an upbeat film of solid craftsmanship across the board. Gadot’s Princess Diana just so happened to make her debut during World War I instead of World War II (both ideal backdrops for films pitting good against evil). As is the case with most quality superhero origins, Wonder Woman takes its time establishing the character’s backstory before fists start flying and guns go blazing. This fish-out-of-water tale required the women of Themyscira to meet military men like Captain Steve Trevor (Chris Pine), and Ms. Jenkins wisely dictated slower pacing. The DC Universe is one where Greek mythology meets Judeo-Christian beliefs, but writer Allan Heinberg (story byJason Fuchs and Zack Snyder) made it work. The plot is simple: The first World War literally breaks through a protective bubble put in place by Zeus to hide the Amazons from the god of war, Ares. Diana saves Captain Trevor when his plane crashes into the ocean, which serves as the impetus for her to leave utopia and save mankind. She believes that locating and defeating Ares on the field of battle will end all war. Steve humorously goes along for the ride as a means of getting home, although a romance between the two heroes eventually grows. Perhaps what is most impressive about Wonder Woman — besides a memorable “No Man’s Land” scene and the iconic “lasso of truth” — is the way Diana’s improved understanding of love and free will allow her to fully realize her potential. The god of war eventually comes across as a Satan stand-in, and Wonder Woman adopts, for all intents and purposes, a Catholic definition of love (i.e., willing the good of the other as other). Check out the rest of the review here. The new Wonder Woman trailer came out on Saturday and the reaction has been overwhelmingly enthusiastic. Facebook feeds, Twitter streams, and YouTube videos exploded with excitement at the product. What has missing over the last 24 hours is someone who points out the obvious: Paul Feig’s “slime Ghostbusters critics as sexist” strategy only demonstrated his intellectually bankruptcy. There are not armies of men (at least in western nations) who have a problem with seeing strong women on film. That was a lie meant to divide people for Sony’s benefit. The Wonder Woman trailer wraps a giant “lasso of truth” around Mr. Feig’s desperate attempt to save his shoddy product. You cannot get any more “girl power” than Wonder Woman, and every time a shameless Hollywood producer tries play the sexist card in the future they should be punched in the face with the collective fist of fan-approval for Wonder Woman. The new Justice League trailer arrived today, and the good news is that it looks awesome. 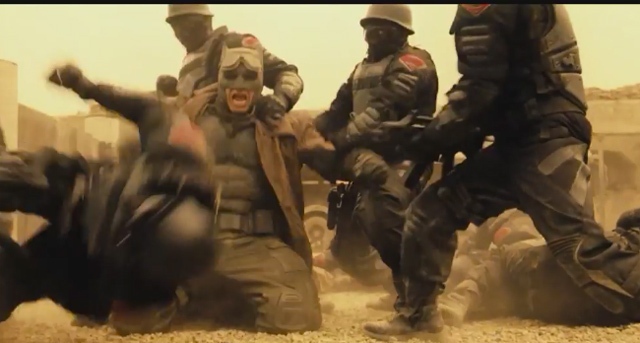 The bad news is that Batman v Superman looked just as amazing and then turned out to be a sloppy mess. Zack Snyder is an strong visual artist, but at this point in his career it seems like his Achilles heel is a propensity to sign off on scripts that are half-baked. Check out the trailer below, watch my YouTube video, and then let me know that you think about the fate of Justice League in the comments below. I really hope Warner Bros. took the fans’ criticism to heart, because overall they know what they’re talking about. The Batman v Superman trailer is out, and one thing is obvious: Zack Synder is going with a level of realism that Marvel Studios has shown no desire to duplicate. 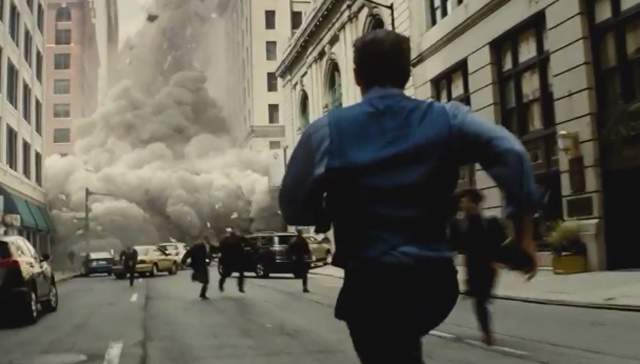 Anyone who lived through the September 11, 2001 terrorist attacks will not be able to see Ben Affleck’s Bruce Wayne engulfed in dust and debris without thinking of that day. If they decide to accept the director’s decision, then they can appreciate what the visual does for the story — while everyone else sprints away from the carnage, Bruce Wayne hurls himself head first into the chaos. That is the kind of bravery (bordering on psychosis) a man would need for him to seriously attempt to challenge Superman. There are plenty of valid criticisms that could be made of Mr. Synder’s DC Universe, but it is hard to deny that his Superman exudes raw power. When he is on the screen, he demands respect. The argument that his costume is dated and cheesy just doesn’t fly (no pun intended), because if you can be led to believe that a character possesses the power to exterminate the entire human race, then you will respect him in almost any outfit. 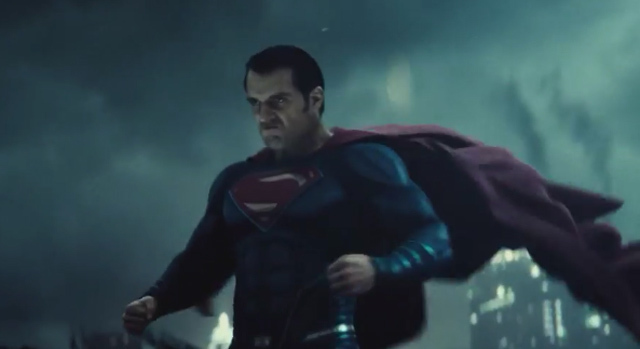 The strength Superman wields is what will (understandably) cause Bruce Wayne to fear the alien and, at least for a portion of the film, seek to destroy him. If a man had the power of a god — but he wasn’t God — wouldn’t he have to be destroyed? The same question would, of course, apply to a … Wonder Woman. Marvel Studios has a track record of making great movies, but for the most part it has shied away from the level of realism embraced by Christopher Nolan’s Batman films and Zack Synder’s “Man of Steel.” Both kinds of movies can happily exist in the summertime blockbuster market, but Marvel’s problem is that there are only so many times the world can be demolished in a shared cinematic universe before the cotton candy-ish tone seems weird. Perhaps Marvel Studio’s “Civil War” will finally address that problem, but as of now DC has the pole position on superhero fare that makes an audience think about real-world issues. If you plan on seeing “Batman v Superman,” then let me know what you think about the trailer or anything else related to the movie in the comments section below.